It does have a bit of heat and tend to add a scoop of something extra, like powdered jalapeno, when I have it. But I tend to keep the base of it the same. I also make double batches of the below recipe as I found I was just using it up so fast. 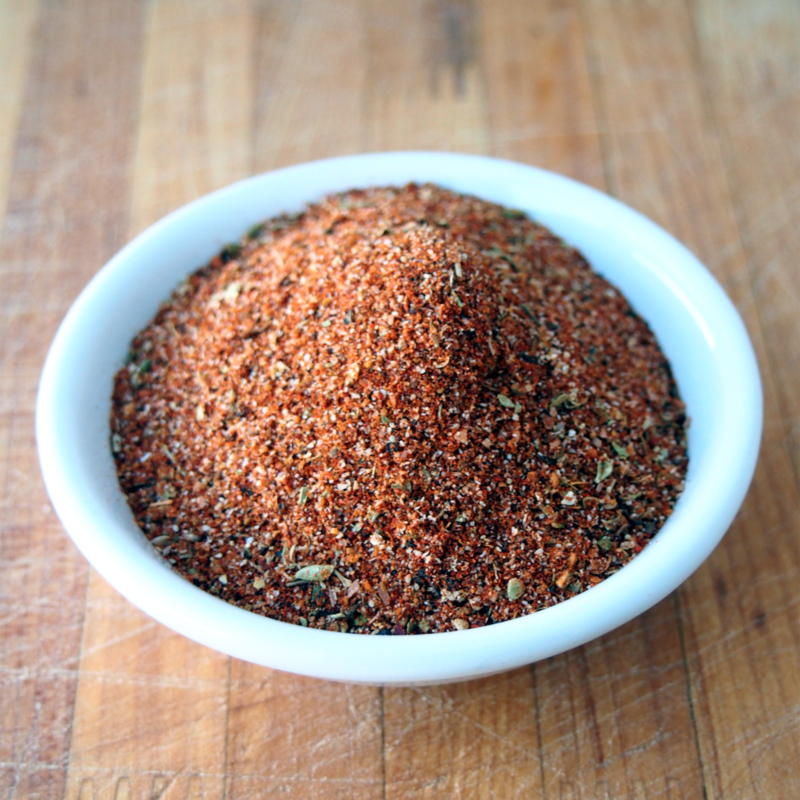 I also use my coffee chili rub for some dishes. But note that it is quite a bit stronger in flavour and heat. It’s great on heartier meats like beef or sprinkled on eggs for a nice kick. For the salt, I like to use a flavoured salt such as a mesquite, chipotle, smoked, etc.